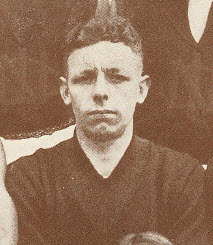 One of the more unique players of the inter-war period, Fred Smith served North Launceston with distinction in various roles for ten seasons. First playing senior football with the club in 1931, Smith quickly developed into one of the most damaging and creative small forwards of his time, being sufficiently prolific in the role to top the NTFA goalkicking table in 1934 with 52, as well as North Launceston’s goal tally the previous season as well. Though not a tall man, Smith was an exceptional mark overhead for his size, while he was noted by contemporaries as always only one piece of genius play away from changing the course of a match, usually through his matchless passing skills by foot. Around 1936, he made more of a shift towards the middle of the ground – though still remaining dangerous around goal – and it was in this capacity that Smith’s career would reach its zenith. During the late 30’s Smith was unquestionably one of the finest players in the northern competition, taking out consecutive Tasman Shield Trophies as the official Association Best and Fairest in 1937-38 (the second shared with City’s Max Pontifex), while also claiming a hat trick of club champion awards; the second Tasman Shields award is particularly noteworthy given Smith’s decision to retire at the end of 1937 aged only 27, and sitting out the start of the 1938 season while ill with bronchitis. Smith’s standing as a player of exceptional quality saw him regularly selected in NTFA representative teams, the highlights coming when he booted eight goals against the NWFU in 1937, and seven goals against the TANFL in 1934, a performance for which he received the award for the Association’s best representative player. Given his status – especially in the latter half of his career – it’s something of a surprise that Smith was never afforded the honour of representing his state; he would almost certainly have been selected for the 1937 National Carnival in Perth, however Tasmania was unable to afford the costs of sending a team across the country and was therefore unable to participate in the event. Alas, for all Smith’s individual honours, there is a conspicuous dearth of team success on his footballing resume. After playing in a premiership in his first season, Smith was a member of no fewer than seven losing Grand Final teams over the rest of his career, two of which came in 1934 at the hands of the Launceston juggernaut who won six consecutive NTFA flags during the 1930s. Smith retired from NTFA football at the end of the 1940 season. He returned briefly for the Robins in 1945 after the competition had resumed from the war-enforced recess, before finally retiring for good after 133 senior games. He was subsequently afforded Life Membership of the North Launceston Football Club in 1956.